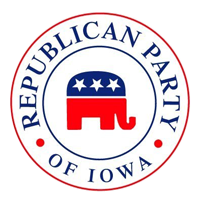 The 2018 First in the Nation Iowa Caucuses will be held February 5, 2018. “The Iowa Caucuses will continue as planned this evening. We recognize the hardship that today’s weather could cause for some caucus-goers to get to their caucus site this evening. However, after reviewing Iowa Code and our respective constitutions, there is no provision for us to postpone the caucuses due to weather. “We urge everyone to use caution and common-sense when heading out this evening. Take it slow, allow plenty of time, and take care while on the roads. If any caucus-goers have questions or concerns, contact us or your county leadership.